← Could Barrack Obama be impeached over Syria? Australia cuts off support for Syrian rebels! Not only does Australia have a new Prime Minister, but now it’s taken a new stance on the Syrian conflict by listing Jabhat al-Nusra as a terrorist organisation. This is a bold move by the Australian government, and one that puts it squarely at odds with the policy of the US President, who has promised to increase lethal aid to the FSA! Of course, Mr Obama has not officially offered support to Jabhat al-Nusra, and the Australian government has not explicitly said that it will not support other Syrian rebels but we only need to join the dots to see that the two countries are currently moving in opposite directions with regards to Syria! Not only does the Australian listing of Jabhat al-Nusra as a terrorist organisation dictate future policy with regards to any formal role the country may have in the Syrian conflict, but it will also make Australians think twice before heeding the call of local Sheikhs who are encouraging their flock to go to Syria and join the FSA! The move is a politically astute one for the Australian government as it doesn’t appear to involve them in taking sides in the Syrian conflict, thus avoiding any backlash from pro-FSA groups in Australia. Even so, the move effectively bars Australia and Australians from further involvement with the rebel forces, where regular conscripts are said to be joining Jabhat al-Nusra by their thousands on a daily basis! AN extremist group fighting against President Bashar al-Assad’s regime in Syria has been listed as a terrorist organisation by the Australian government. Attorney-General Mark Dreyfus used the country’s anti-terrorism laws to make the declaration against Jabhat al-Nusra, saying the group was supplied with weapons, recruits and equipment by al-Qaeda in Iraq. 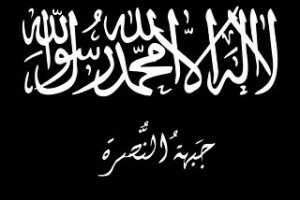 Jabhat al-Nusra, also known as the al-Nusra Front, has a history of suicide attacks and bombings in Syria, and was not part of the recognised Syrian opposition movement, he said on Friday. Its listing as a terror group makes it illegal to be a member of or recruit members to the group, or receive training from the organisation. The offences apply to anybody in Australia and Australian citizens living abroad. “This organisation was listed following careful consideration of advice from security agencies for the purposes of the Criminal Code,” Mr Dreyfus said in a statement. The listing also makes it an offence to give funds or to get funds from Jabhat al-Nusra, with those found guilty facing up to 25 years in jail. This entry was posted in Article, syrian rebels and tagged Australia, Jabhat al-Nusra, President Bashar, syria, syrian civil war, syrian conflict, syrian rebels. Bookmark the permalink. 3 Responses to Australia cuts off support for Syrian rebels! My great grandfathers left Syria over 100 years ago due to prosecution of Christians by Turkey. I am very privileged that my parents met in Egypt and then immigrated to Australia before I was born. If these incidents did not take place then it would be my family and children fighting for our lives and right for freedom. Please help these poor tortured souls.